((2)) VIRTUAL TOURS with aerials, what home will look like, and G&D plans. ** *CLICK PHOTOS TAB THEN VIRTUAL TOUR LINK**NEW HOME to be built*****Beautiful 1.248 Acre lot* Great access from pavement* Horse property*Oversize 1143 sqft 4 CAR GARAGE.8’tall and 16′ wide garage doors*3 bedroom+Den*Open greatroom plan*20’tile in all the right areas*Large kitchen features: Kitchen island, Rustic Alder cabinets,granite tops,stainless steel appliances. *Vaulted master with sep.tub&shower,double sinks,&walkin closet. (shower has tile surrounds)*Fans+prewires*2×6 ext.walls*Cable&phone to all bedrooms* Dual pane windows*Gas FP*Huge 34’x12’covered patio. 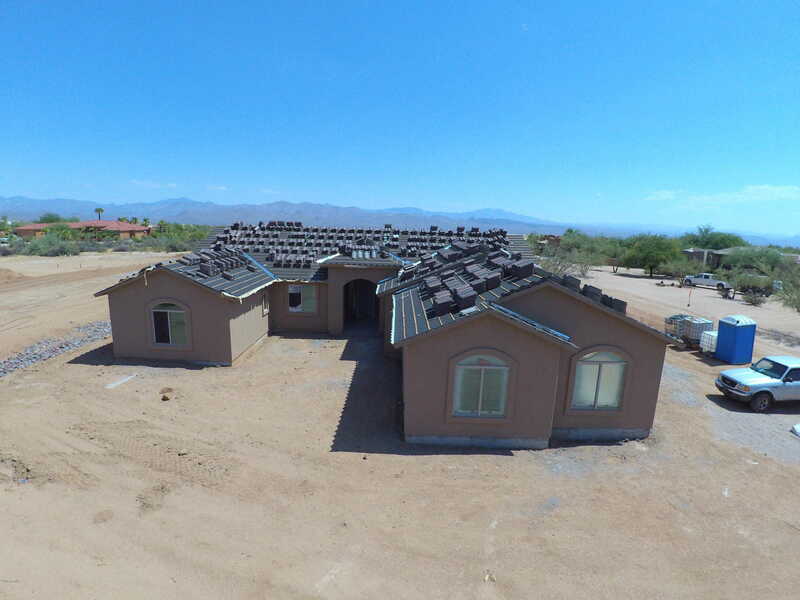 Other homes available in Rio Verde. Legal under documents tab. Directions: North to Melanie. East 302 feet. Subject is south home of two homes being built. Approximate size: 54365.00 sq. ft.